Last week we headed out on our summer holiday to the gorgeous county of Norfolk, with seven days’ boating in the diary and a three-night stay at a dog-friendly hotel called the Beechwood in North Walsham. Well, what a find that was. We had booked a three-night stay in a four-poster room, which included dinner and breakfast, and Sunday night in the room was free as long as we ate in the restaurant. Our room was lovely, with a huge four poster and a fantastic bathroom with Molton Brown toiletries to pour into the elegant slipper bath. And, of course, Bruce – who is really in charge of our holiday plans! – was welcome. Upon arrival, we were treated to a delicious cream tea in the bar area (all in with the room price), where Bruce sat at our feet and watched the guests go by. It became apparent pretty early on that every other guest was a repeat customer – and proud of it. It was extraordinary. Bruce was allowed in the bar but not the restaurant, which was fine as they were happy for us to leave him in our lovely room and didn’t perform a turn-down service unless you requested it. This was ideal for us, as we didn’t have to leave Bruce in the car and he’s very happy in his bed if he can see our stuff strewn around the room. He knows we’re coming back and will snooze away contentedly. Dinner was excellent. They brought us olives and little bites first in the bar, followed by canapés, all while we enjoyed a pre-dinner drink. Then we moved to the elegant, candle-lit restaurant where we feasted on four courses, followed by tea or coffee and chocolates back in the bar. 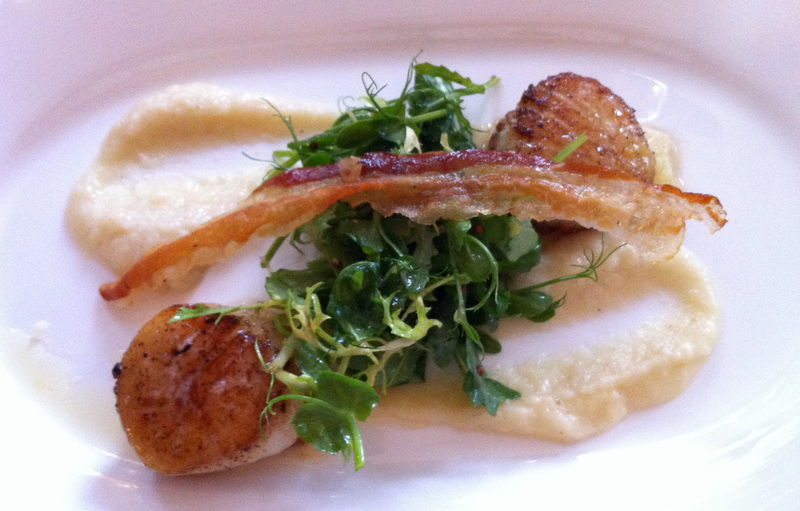 The food was superb, with different choices each night. I especially enjoyed the local delicacy, Cromer crab. In the bar after the meal, Lindsay (one of the owners) came round with treats for the dogs, which was a lovely touch. I’ve got a bit of sand where?! Norfolk itself is a wonderful county to visit, from the idyllic Broads to the beautiful beaches where you can spot seals, and from the lovely little villages to the National Trust and English Heritage places waiting to be discovered. We highly recommend it. Betsy the Chihuahua may only be a year old, but already she’s got one of the greatest jobs in the country – she tours the UK to discover the best dog-friendly hotels, pubs and places to visit. And she takes her pet parents along for the ride, as The Mighty Pooch found out. 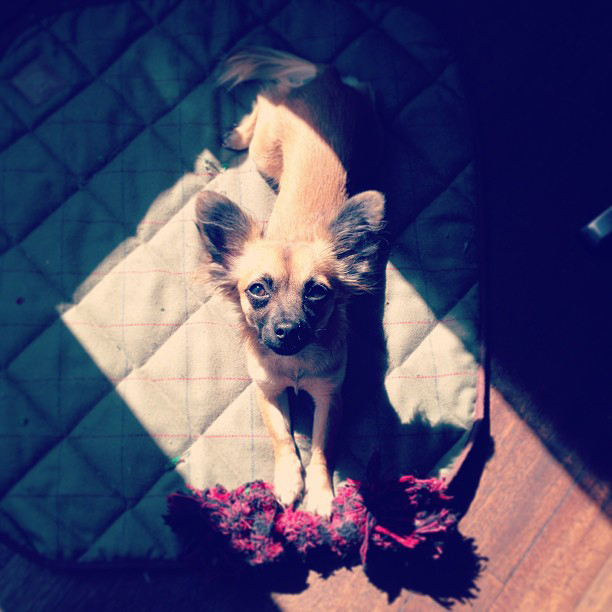 Betsy the long-haired Chihuahua has really landed on her feet. In between the cuddles, walks and huge amounts of attention she receives for being, well, pretty darn cute, Betsy, along with her humans Zoe Worsley and Alex Parsons, is a hotel and restaurant reviewer. While Zoe and Alex may be the ones who actually put finger to keyboard and type up the reviews that feature on their Dog Friendly UK website, Betsy is the star of the outfit. If a place isn’t dog friendly and will not accommodate Betsy, then frankly it’s just not worth a visit. And on Dog Friendly UK, they’ll tell it like it is – there are only honest reviews to be found here. It seems that the UK needs a site like this – somewhere impartial for dog owners to discover where’s hot and where’s not when it comes to taking your pooch out on the town. A recent study concluded that Britain is actually the least dog-friendly country in Europe, with a meagre 6% of British retailers allowing dogs inside their precious walls. In fact, the study revealed that 73% of the 7.3 million dog owners in the UK don’t visit as many pubs, shops and cafes as they’d like to, simply because they don’t feel their dogs are welcome. 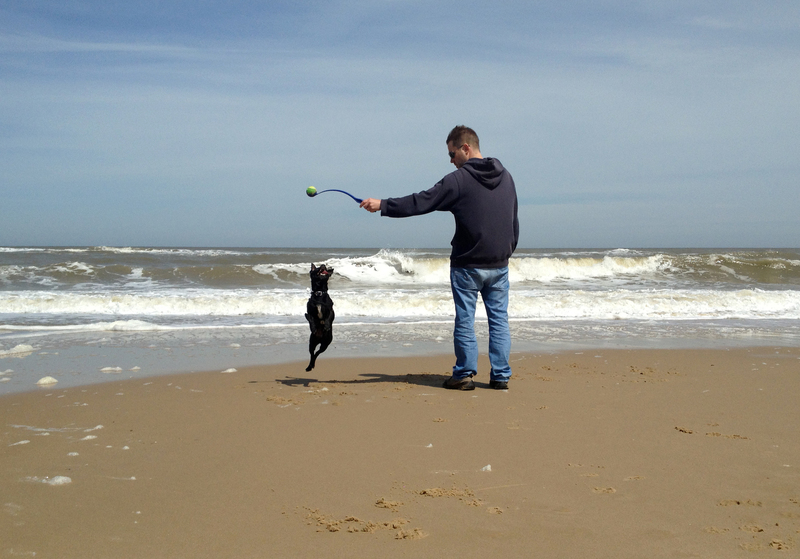 So it’s clear that it pays to do your research before you head out with your dog to avoid disappointment – which is where Dog Friendly UK comes in very handy. 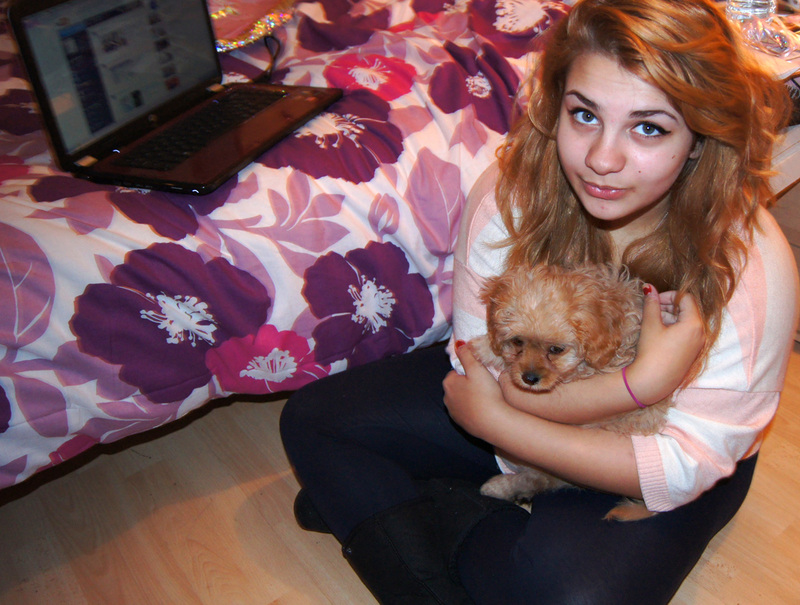 It all started when Zoe and Alex brought Betsy home last year as a puppy. They set about googling the best pubs and hotels to visit with their pooch – but no one website lived up to their expectations. “We found plenty of websites that were jam-packed with information, but none of them really reviewed the places in detail or they weren’t tailored to younger couples,” explains Zoe. As the site is still relatively new, Betsy, Zoe and Alex plan to spend the next 12 months visiting as many places as they can to build up a comprehensive list of reviews. “It can be an expensive (but enjoyable) business eating out all the time and hotels add to the costs, so we’ve been looking into getting a few guest bloggers to post on our site to cover any areas that may be too far for us to get to right now. 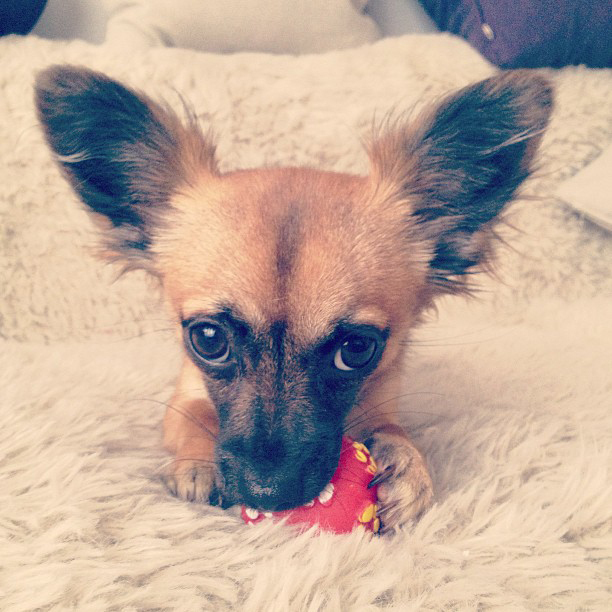 We also hope to have some professionals posting interesting content to help people with their pet queries,” says Zoe. 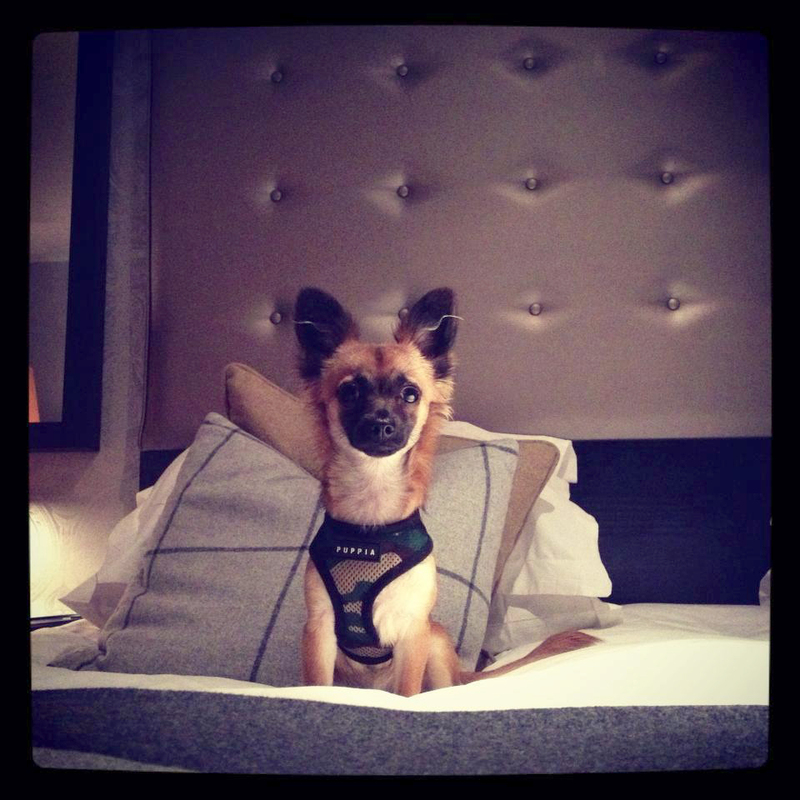 So what are Zoe, Alex and Betsy’s top tips for choosing a dog-friendly restaurant or hotel? “Top tip number one would obviously be to keep popping back to our blog to see what new places we have visited and read our reviews,” Zoe laughs, “We’ll keep adding to it all the time and will hopefully have a more extensive list of dog-friendly spots to visit very soon. So, if you fancy a night out or a weekend away that your four-legged friend can join you on, check out the website at www.dogfriendlyuk.com where there are some gems to be found. And let’s hope Britain becomes more dog friendly in the future – there’s nothing nicer than going on holiday with the whole family. No one wants to be left behind! The Mighty Pooch is a specialist dog photographers located in Yorkshire but available for photoshoots nationwide. 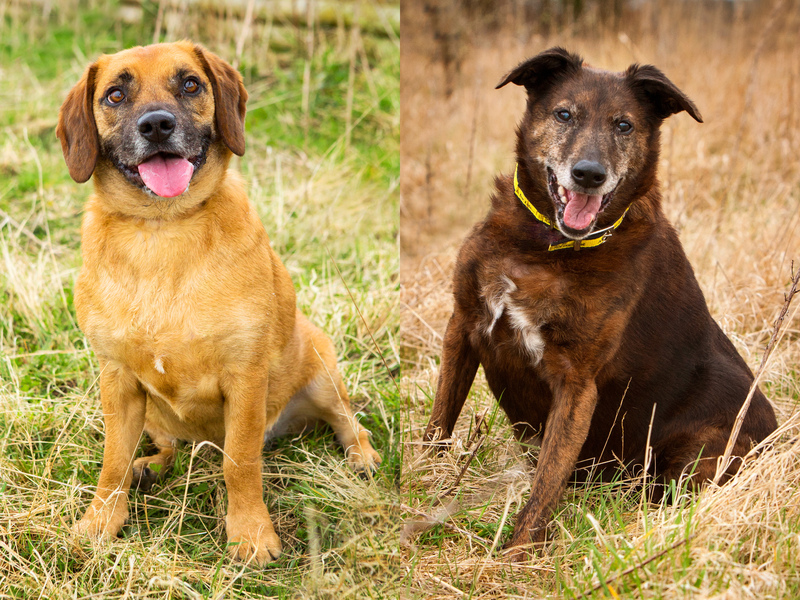 For the last three years, Michael has enjoyed the lovely job of photographing the Leeds Dogs Trust sponsor dogs Millie and Jake, whom The Mighty Pooch also now sponsors. Both long-term residents at the centre, Millie and Jake are wonderful dogs who had a tough start in life. Jake is a tan-coloured beagle cross who was born in March 2009. Aged just one, he came to live at Dogs Trust Leeds in March 2010, where he enjoys paddling in the pond and playing with his squeaky toys. He’s also quite the drooler, which could be down to his love of food! Although Jake has been with Dogs Trust since 2010, it is possible that he could find an adoptive home, should the right people come along. He’s certainly a happy chappy with a lot of sunshine in his doggy smile. 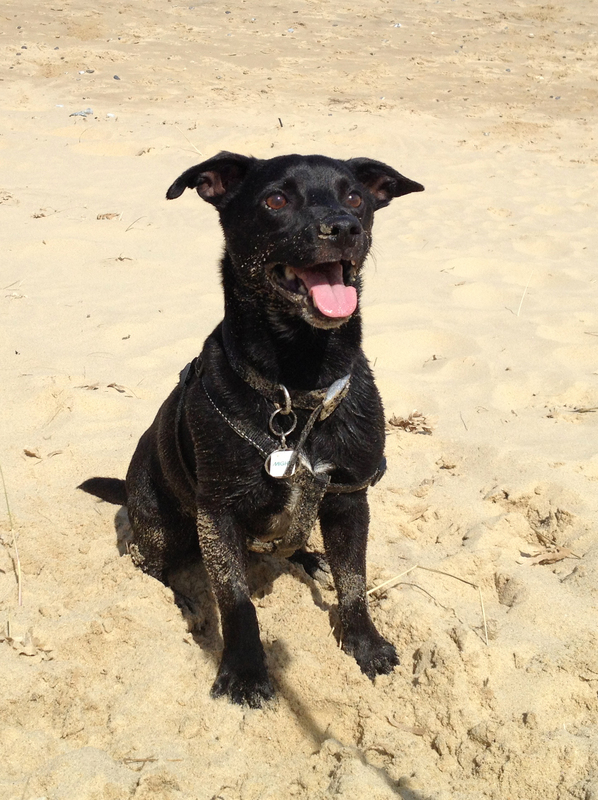 Millie is a Heinz 57 – she is her own unique breed. 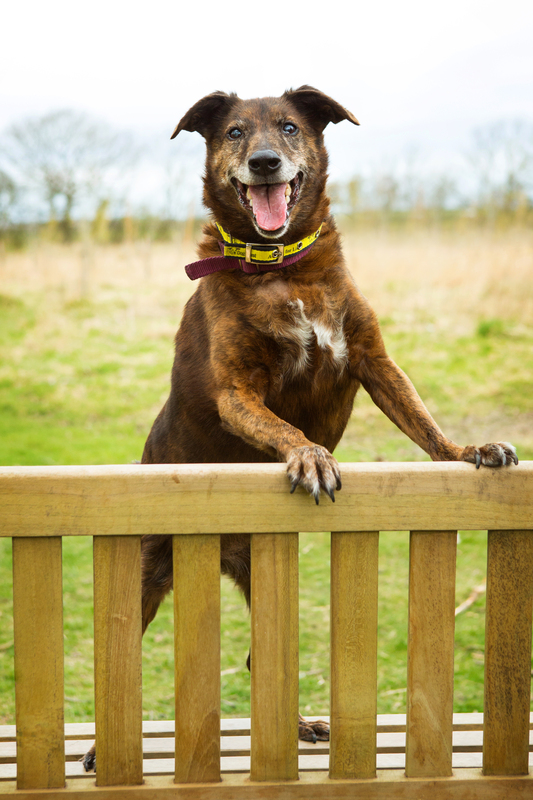 She was born in October 2000 and, aged two, she arrived at Dogs Trust in September 2002. Millie’s favourite things are her toys, grub and trips out in the car. She is mistrustful, however, of strangers, and dislikes those she doesn’t know. Luckily, she has some wonderful carers who she allows in for cuddles – and plenty of canine chums to play with at the centre. She’s a refined lady who offers her paw for treats and, at 12 years old, she still enjoys a walk and a chew on a big stick. If you want to find out more, or sponsor Jake or Millie yourself, head to www.sponsoradog.org.uk for more information. From the moment Laura-Jane Muscroft saw Oscar, a Petit Basset Griffon Vendéen cross, she fell in love. Today, four years on, Oscar is her right-hand man, accompanying her to primary schools to educate young children how to care for dogs. Here, Dogs Trust’s Laura-Jane (LJ) talks guessing games, converting petrified youngsters into dog lovers and Oscar’s comedy moments. Four years ago, Oscar arrived at Dogs Trust from Ireland, where he’d been rescued from a puppy farm along with his brother and sister. LJ, who’d been working at Dogs Trust for two years at the time, took one look at Oscar and had to take him home. These days, LJ and Oscar tour schools to educate the next generation of dog owners how to care for and understand their four-legged friends. Children who guess correctly what Oscar needs – water, dog food, veterinary treatment, toys, walks, etc. – are invited to the front of the class to demonstrate that particular need. For example, they listen to his heart beat to represent veterinary treatment, give him a brush to demonstrate grooming and fill up his water bowl to hydrate him. “We even have some pretend poo to pick up!” laughs LJ. In sessions with older children, LJ shows them a DVD called It’s A Dog’s Life, before asking them to role play at being rehomers and match certain dogs with the best home for them, explaining why they have chosen their answers. “In one school, I put It’s A Dog’s Life on and Oscar sat up in his bed, turned round and watched the entire DVD from start to finish. The children thought this was great!” adds LJ. If you work for a primary school that may be interested in one of LJ’s free educational workshops on responsible dog ownership and safety around dogs, contact her at laura-jane.muscroft@dogstrust.org.uk. 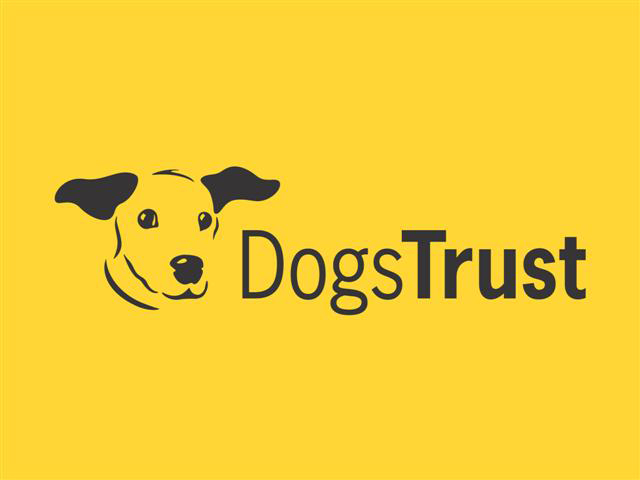 More information can be found on the Dogs Trust website. Remember: A Dog Is For Life. 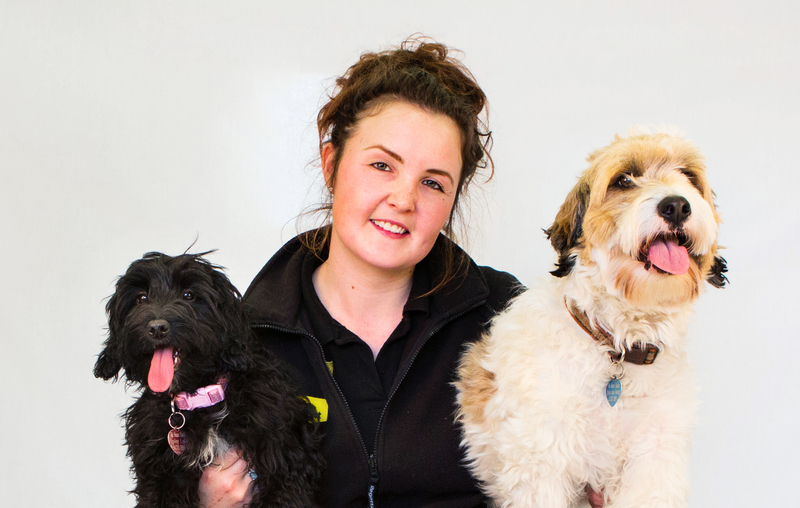 Coming up on the blog on Friday – meet the Leeds Dogs Trust sponsor dogs. They’re gorgeous. 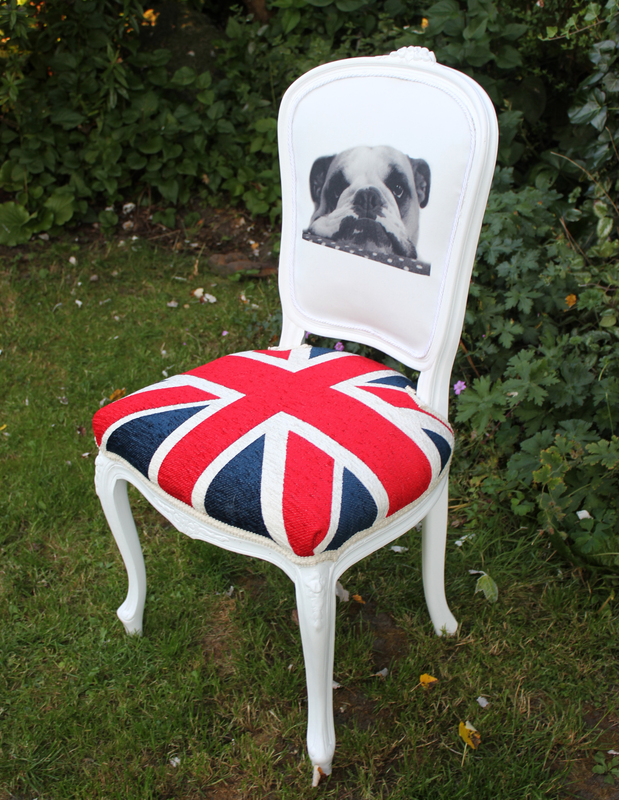 Photographs copyright of The Mighty Pooch Dog Photographers. I’m a sucker for a dog-friendly café. If I can take Bruce with me for a nice brew and piece of cake after a good walk, I’m happy. So when I heard about 17-year-old Nicole Welch’s dream to open a Paws for Coffee café, where people can go for coffee plus a cuddle with a canine, I was intrigued. Nicole got her initial idea for her dog-friendly café, Paws for Coffee, from the cat cafés in Japan, which give punters somewhere to go for a cuppa and the option to stroke a resident cat while they’re enjoying their refreshments. Nicole’s plan is to open a doggy version in London, where dog lovers can congregate and non-dog owners can visit and feel the benefit of a cuddle with a four-legged friend. Far from simply a café where dogs are petted and cooed over, Nicole intends to use her enterprise to “make the world (well, maybe just London for now) a place that accepts dogs and looks after them, loves them and treats them as we would wish to be treated.” She hopes to work with people with disabilities, anxiety and depression, too, believing that dogs can really make a difference to people’s well-being. “Dogs do wonders for people’s emotions. They can lower blood pressure, stop anxiety and just talking about them can put a smile on your face. My dream has always been to work with animals and, this way, I will also be encouraging others to love dogs the way I do!” She tells me. If you want to drop Nicole a line, she can be contacted at pawsforcoffeecafe@live.com or you can follow her on Twitter @PawsForCoffee.